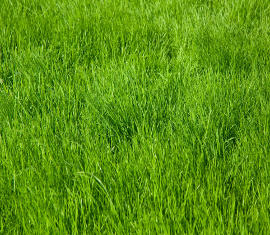 You deserve a green lawn. 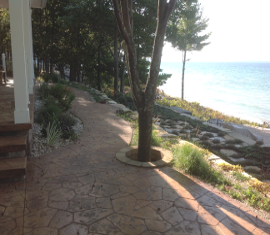 We provide the design and installation of many landscape construction projects including walkways, steps, retaining walls, patios, veneer stone,planting, trans-planting, drainage systems, lawn renovation and installation, paver driveways, cobblestone edging, and excavation. 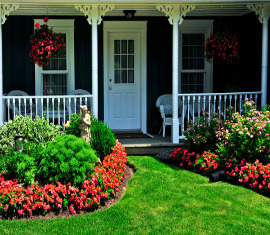 We also provide ongoing property maintenance which includes lawn mowing, fertilizing, spring and fall cleanups, de-thatching, aerating, seeding, mulching, edging, herbicide application, plant health care, snow plowing, pruning, and tree care and removal. 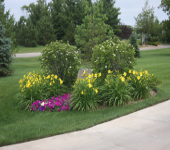 We provide a full range of landscaping design, installation, and maintenance services.Our landscaping services include but are not limited to flagstone patios/walkways, natural boulder retaining walls, boulder accents/outcroppings, patio/walkway maintenance, powerwashing, resealing, patio/walkway repair, firepits - custom natural stone/paver kits, paver work - walks/retaining walls/patios etc., and tree/shrub/flower/ground cover plantings. Let Keller Caretaking LLC create and execute a custom turf management program to get the most out of your property investment. We will layout a turf program that includes some or all of Granular pre-emergent w/crabgrass control, granular/liquid weed & feed, granular/liquid fertiliztion, late fall winterization and core areation. We also provide grub, ant, and mole treatments. Keller Caretaking LLC is your full-service tree and shrub spraying company, licensed and certified. 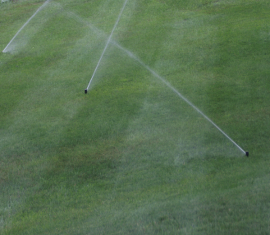 We provide sprinkler system design, installation, activation, winterization, diagnosis/repair, add-ons and complete overhauls. We provide ongoing property maintenance which includes lawn mowing, field mowing, watering, rototilling, fertilizing, spring and fall cleanups, de-thatching, aerating, seeding, mulching, edging beds/walks/drives, herbicide application, plant health care, pruning, and tree care and removal. 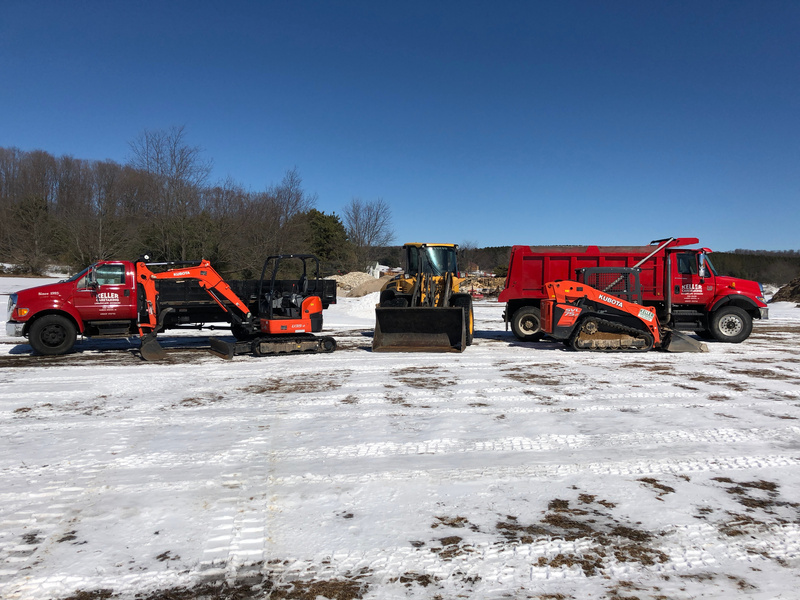 Snow and Ice removal services can be customized to fit your level of need. 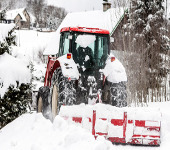 We provide snow plow/blow, spread salt/sand, snow bank move/remove, and shovel walks/decks/roofs. We have the equipment to accomandate any residential, or commercial client, while providing the best possible solution in the area. We provice a full range of caretaking including house checks, garbage pickups, gutter cleaning and power washing. We are a family owned business with over 20+ years of experience in lawn care, landscaping, turf management, and general caretaking. 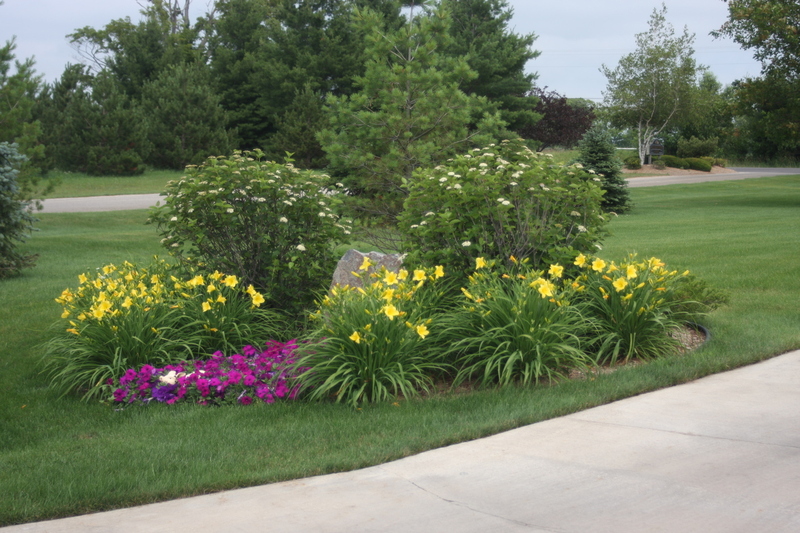 Our team of experienced and certified landscapers work with you to create an outdoor space that brings the vision of your landscape to life. Whether your property lacks curb appeal or you're looking to create a backyard paradise, we will work with you to develop a landscape design that suites your taste and lifestyle. Let Keller Caretaking take you back to a time when Quality, Pride, and Customer Serivice were the hallmark of every business. We have a range of lanscape/maintenance specialists who can help you along the way. Whether you want a massive retaining wall or just a small water feature, we can design the right solution for you. Grub Epidemic Hits Northern Michigan! The lawns in Northern Michigan are being ruined this year by a combination of skunks and grubs. Grubs gnaw at grass roots and the skunks feed on grubs, digging in the lawns to find them. This year, skunks and grubs have invaded the area, leaving dead grass and chewed-up lawns in their wake. Please check out the grub damage photos in our gallery to see if your lawn is showing symtoms of grub damage. Grub damage grows fast and has destroyed entire lawns, so don't hesitate to contact us for a grub treatment analysis.